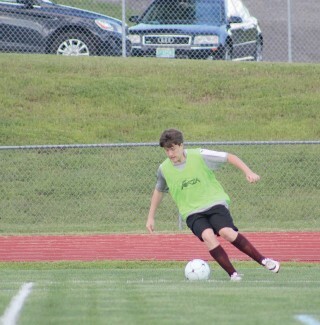 he fall soccer season is only a few days away. 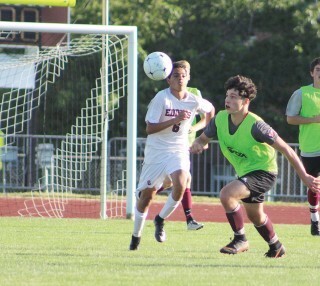 The boys’ JV and varsity soccer teams played back-to-back practice games on Thursday, August 23 at Windham against Edward Little. The team started out well, hitting the field with strong communication and solid movement of the ball. Almost immediately, Hunter Vail scored, giving Windham a 1-0 lead. Windham’s teamwork made for some excellent offense and defense. The team had solid hustle, giving 100% throughout the game. Windham players were getting to the ball faster, taking multiple shots on Edward Little’s goal and blocked several scoring opportunities for Edward Little. Windham played the second half just as hard as the first. Windham’s offense and defense continued to show they came to win. Sam Glicos scored, making it 2-0, Windham. There was hustle right out of the gate when varsity took the field. They, too, were beating Edward Little to gain possessions of the ball. The Eagle’s teamwork and communication made for multiple shots on goal. They were pressuring hard. Micah Andujar scored twice in the first half. Windham had excellent offense and their defense blocked several of their opponent’s scoring opportunities. Edward Little was able to get one by Windham’s goalie before halftime. Intensity did not slow down, even for a minute in the second half. Windham’s fancy footwork had them in control and the Eagle’s defense kept Edward Little away from their goal. Windham continued taking shots on Edward Little’s goal. Before the end of the second half, Edward Little got one in the net, but not until Anthony Sawyer scored for Windham. The first regular season home game is Thursday, September 6 against Portland; JV at 4 p.m. and varsity at 6 p.m.
Brady Afthim kicks off the season! It's here - Friday night under the lights. 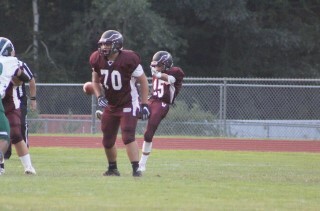 Windham faced off against Bonny Eagle, at Windham, for a practice game on August 24. The Eagles came out with great intensity, ready to hit the field and get to work. Windham’s strong defense kept Bonny Eagle from advancing early in the game. 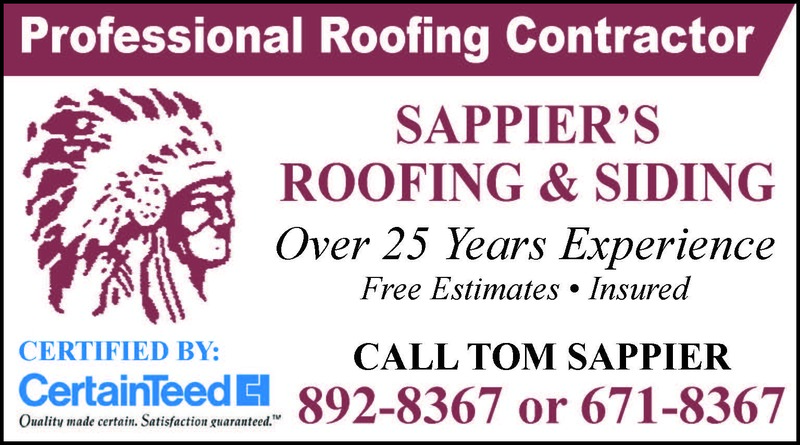 Later in the first half, Bonny Eagle jumped out to a lead scoring two touchdowns and an extra point attempt, 13-0. This didn’t discourage Windham; they just knew they had to turn up the heat in the form of defense. The Eagles stopped potential scoring opportunities with several tackles. Windham players had excellent teamwork; they were keeping their heads and the intensity up. Marshall Maxwell, #25, gets to Bonny Eagle’s 33 yard line. Later, Garrett Peeples, #9, advances to Bonny Eagles 45-yard line, before the ball is turned over. Brady Afthim, #15, received a strong tackle, preventing Bonny Eagle from scoring. Eagle’s defense prevented two other touchdown opportunities for the Scots. Bonny Eagle would get some speed headed for the end zone and Windham would take them down. Stuart Salom, #21, gets to Bonny Eagle’s 34-yard line, but didn’t make it into the end zone. The second half started with strong defense on Windham’s part. Bonny Eagle was going hard towards Windham’s end zone but was stopped several times. Anthony Gugliuzza, #12, made it to Bonny Eagle’s 35-yard line, then advanced to their 24 yard line. Windham had several attempts where they almost completed a touchdown pass but fell just short. Next home game will be on Friday, August 31st with a kickoff time of 7 p.m. 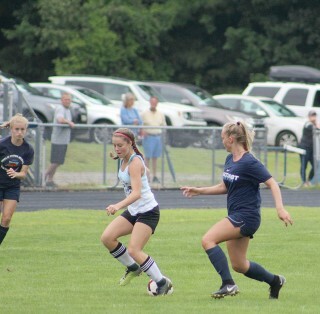 The girls, varsity soccer team, in preparation for the upcoming season, had a practice game against York, at York High School, on Saturday August 18th. The Eagles started this one strong with great teamwork, moving the ball up and down the field, putting the pressure on. Windham had excellent communication and did an outstanding job of keeping the ball moving towards the York half of the field early on in the game. Windham had tough offense and defense throughout the game, although, in the first half, York did score. Windham made up for it later in the game. Windham players were taking multiple shots on York’s goal, giving it all, showing they came to play and win. Windham’s goalie, Riley Silvia, had several impressive stops and saves throughout the entire game. Shortly before the end of the first half, Riley Beem got one by York’s goalie tying the game at 1. The girls hit the field ready to get it done in the second half. Windham kept up the intensity and had tight offense and defense, keeping the ball on York’s side of the field. The Eagles took multiple shots on York’s goal. Windham continued going strong the entire second half, not letting up. Their hustle and teamwork were really putting the pressure on York. With the clock winding down in the second half, both teams were looking to break the tie. There was roughly a minute left on the clock, when the ball was passed to Meghan Hoffses. She took it up the field toward York’s goal and the goalie charged out to block the shot. Hoffses had a clear shot at the goal and scored! “We play right to the end, we play with a lot of heart…that competitive edge right to the end will help us throughout the season,” said coach Deb Lebel. 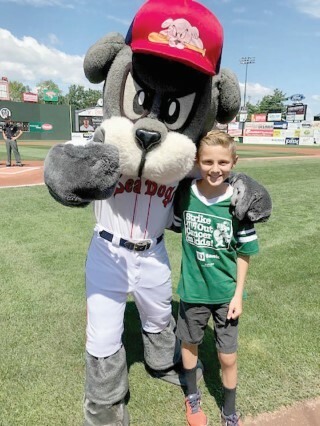 As part of Anthem Blue Cross and Blue Shield’s continued commitment to supporting the prevention and treatment of cancer and the work of the Maine Children’s Cancer Program (MCCP), 11-year-old cancer survivor Nolan Cyr was honored as an Anthem Hero at Hadlock for the courage he displayed battling a serious illness at such a young age and his efforts to comfort other pediatric cancer patients. Cyr, of Windham, was the last of four Anthem Heroes at Hadlock to be recognized during the 2018 season. The ceremony took place prior to the August 19 Portland Sea Dogs game at Hadlock Field. Cyr was 10 years old when he developed pain and a limp in his left leg. After X-rays, an MRI, and a consultation with an orthopedic doctor, Cyr was diagnosed with osteosarcoma, a form of cancer. Cyr had a port implanted and began chemotherapy treatments at MCCP. He also underwent major limb salvage surgery at Boston Children’s Hospital, which resulted in the removal of half of his femur and a prosthetic implanted into his leg. Now eight months in remission, Cyr has taken up sled hockey and looks forward to hitting the ice with the New England Warriors Sled Hockey Team this season. While undergoing treatment, Cyr created Nolan’s Warrior Packs, a backpack of items that kept him comfortable during his long stays at the hospital. He now gives the packs to pediatric cancer patients at the Barbara Bush Children’s Hospital with the goal of making other children like him smile as they endure their toughest battle. “It is important to be brave and to never give up hope,” Cyr stated recently to encourage other children who are facing similar battles. The Anthem Heroes at Hadlock program provides children who have battled a serious medical condition a once-in-a-lifetime experience at Hadlock Field. Each honoree takes a celebratory home run lap around the bases of Hadlock prior to a Sea Dogs home game while the players give the child high-fives and the crowd provides a standing ovation. The children and their families also receive a number of Sea Dogs souvenirs and other VIP privileges. Deb Lebel is a five-time championship winning coach and has been the girls’ varsity soccer coach since 2011 and is also a biology teacher at Windham High School. Lebel began coaching soccer, basketball and lacrosse after getting her Master’s in psychology from Springfield College in Massachusetts. She was a Physical Education and Health teacher at The Fay School, a kindergarten through ninth grade international boarding school in Southborough, Massachusetts. “I enjoyed playing sports in high school and college and wanted to work with kids outside of the classroom,” she explains. Before getting her Master’s in Psychology from Springfield College, Lebel graduated from the University of Vermont with a degree in Nutrition and Psychology. She taught and coached at The Fay School for four years. After Leaving The Fay School, she went to Cushing Academy in western Massachusetts, where there was an opening for a biology teacher. At Cushing, Lebel coached basketball and lacrosse. She met her husband there and they decided to get married and start a family. Lebel is a Raymond native, so she and her husband-to-be moved back to Maine and built a house in her home town. She became a biology teacher at Windham High School during the 2005-2006 school year. Early on in her teaching career at Windham, she coached the Falmouth girls’ soccer varsity team for four years and won three state championship titles during those years. She left Falmouth in 2009 and began coaching lacrosse at Windham. In 2011, she became the girls’ varsity soccer coach and stopped coaching lacrosse in 2013. In addition to her three-state championship wins with Falmouth, Lebel has back-to-back state championship wins at Windham in 2013 and 2014. In 2013, assistant coach James “Jimmy” Stewart was brought on to assist the team as Lebel was pregnant at that time. Stewart had previously been helping out with the Windham boys’ soccer team. “That was a crazy season, [the 2013 season]” she states. Her second child arrived early, on a Monday, but that following Wednesday, Lebel was on the field to see Windham beat Thornton Academy, advancing to and winning the state championship that year. The following year, Windham did it again, winning the state championship for a second time in a row. Lebel lives in Raymond with her husband, Mike who also works at Windham High and is a lacrosse coach at Bates College. They are a very athletic family. Their sons, Shawn, age nine loves basketball and 4 ½ year-old Ben will be playing soccer in the Fall. When Lebel and her family aren’t on a field or a court, they can be found boating, skiing and are also a big cribbage family, even competing in tournaments. The U.S. Junior National girls’ basketball tournament was held from July 26 to July 29 in Washington D.C. Windham’s Hannah and Sarah Talon competed in the tournament, playing on the Amateur Athletic Union (AAU) Maine basketball team, Blue Wave Elite, comprised of girls from Portland, Gray, Wells, Standish and Cumberland. The tournament was structured with seven brackets stemming from 96 teams. Teams played five games in order to get to the championship bracket. Blue Wave won all five of those games and the chance to play in the championship. Unfortunately, they ended up losing to the Lady Lakers, a team from Rochester, New York in the final round. However, second place out of 96 teams is very impressive. To play in this tournament, teams had to qualify by playing in other tournaments and the players must have met talent requirements to be placed in the appropriate group of teams who have a similar skillset. 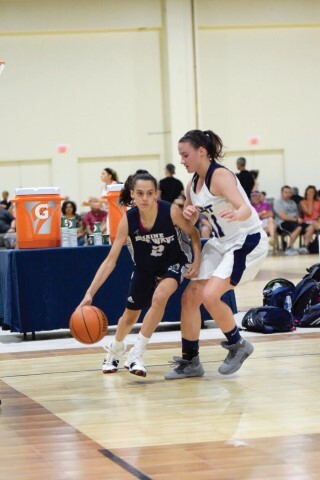 Hannah, an incoming junior, played on the Windham High School varsity girls’ basketball team and has been playing on the Blue Wave basketball team since she was in fifth grade. 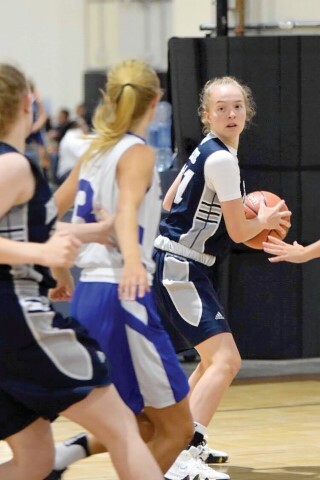 Sarah, an incoming freshman, has been playing on the Amateur Athletic Union since third grade and played on the Blue Wave basketball team as a way to hone skills. “It was a great experience. I got to see some of the best players in the country,” observed Hannah. She said playing in the games was a little overwhelming at first, mostly because of the size of the 20-basketball court gym, but once she started playing, she was fine and had a lot of fun. The Northeast Girls recruiting website, a website that identifies strong players from tournaments, named both Hannah and Sarah as players to watch in the upcoming seasons. While pitcher Kennedy Kimball limited Connecticut to only two hits, some defense mistakes let Connecticut edge out ahead. Connecticut 5, Maine 0. The girls answered back from their loss with an astounding win over Vermont. Hannah Lee, Chloe Edwards, Addison Caiazzo and Oakley McLeod all got hits along with each getting on base at least twice. Each of these players also scored one run each. Addison Ledger got a run batted in off a double. Kimball struck out 15 batters throwing a no-hitter. Maine 10, Vermont 0. Lee crushes a two-run homer in the first inning. From there Kimball’s pitching was able to stave off Rhode Island. This win secured a spot for Windham in the semifinal games. Maine 4, Rhode Island 1. The first two innings Windham had excellent defense, stranding five Pennsylvania runners on base at the end of innings. Bri Duarte got a hit in the third inning, but Windham couldn’t get her home. Windham rallied in the final inning when a hit by Lee loaded the bases, but with two outs Windham couldn’t get ahead. Pennsylvania 3, Maine 0. Of the 12 states competing in the region, Windham finished in the top four; a job very well done! "What this team achieved far exceeded anyone's expectations,” remarked Coach Jason McLeod. “The players molded into a cohesive unit in a very short period of time. The entire experience was amazing and featured many life-lasting memories. 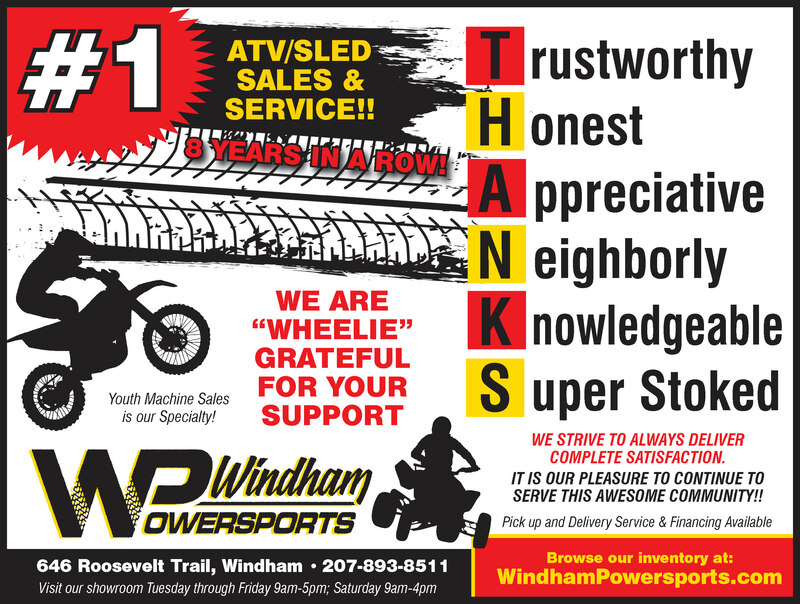 The support we received from all of Windham was just awesome - from fundraising all the way to countless examples of encouragement. 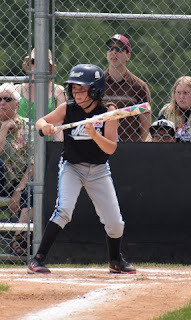 The future of Windham Softball, between what this team as well as the 11/12 All Stars accomplished, is very bright." Congrats to all the girls. You each did an amazing job and this town is very proud of each one of you!